Many cultures have their own version of boneless meat, which is coated in seasoned flour/breadcrumbs/batter, then fried or baked, and accompanied with gravy or sauce. 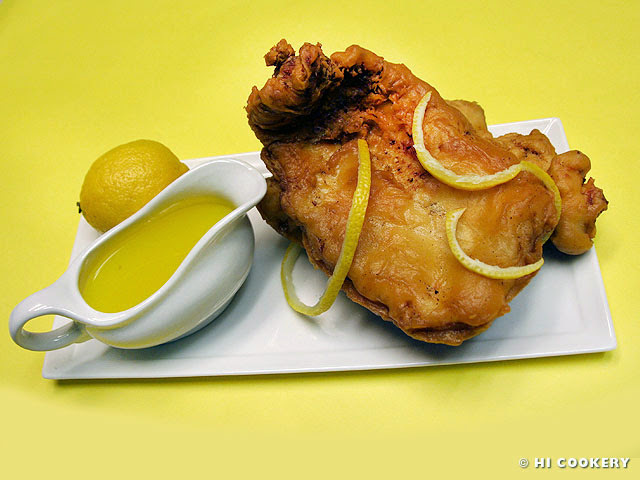 Lemon chicken from L&L Drive-Inn, a popular chain restaurant in Hawaii and in select spots around the world, is one of Islander and her brother’s favorite deep fried chicken dishes with a tangy sweet lemon sauce. During our undergraduate years in Hawaii, we would walk down our hilly campus to the L&L restaurant and treat ourselves to a cheap lunch or dinner when we did not want to eat cafeteria food or cook in our dorm kitchen. When we first ordered the lemon chicken, it looked like a giant, sliced chicken nugget with a sunny yellow dipping sauce on the side. As simple as the entrée was, we just loved the lemon sauce! It really is what makes the chicken a delicious dish. For National Lemon Month, make lemon chicken for a local-style plate lunch. Pound the chicken meat to ¼-inch thickness or cut into bite-sized pieces. Set aside and make the marinade. 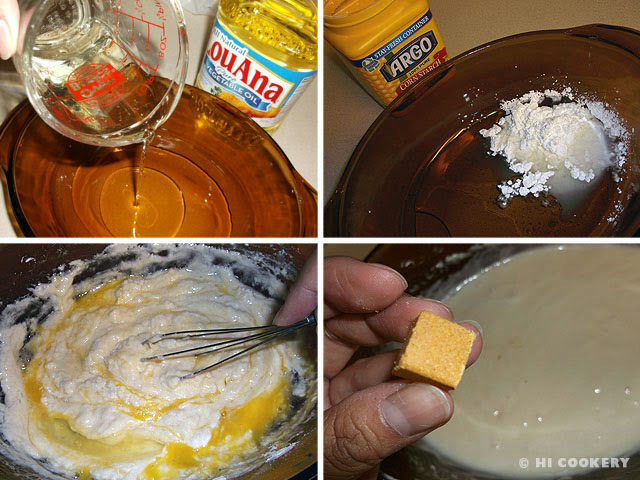 In a large glass bowl, mix together the water and vegetable oil. Blend in the cornstarch and flour. Stir in the egg. Season with salt, bouillon, white pepper and garlic powder. Mix to make a smooth batter. Coat the chicken in the marinade and leave for at least two hours. 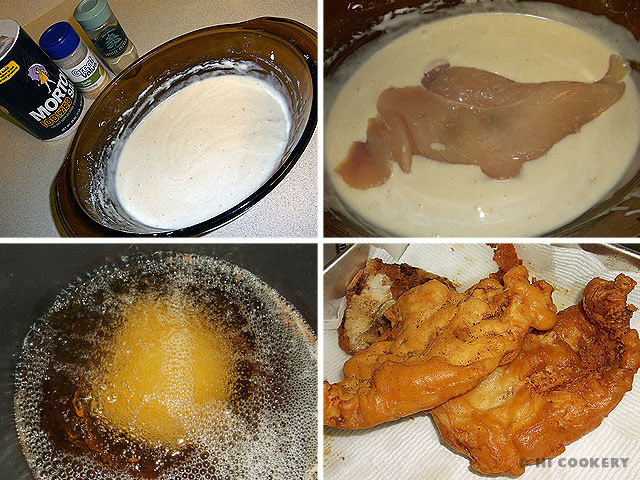 Deep fry the chicken in 350-degree oil until golden brown (5 minutes). Drain on paper towels. Keep warm. 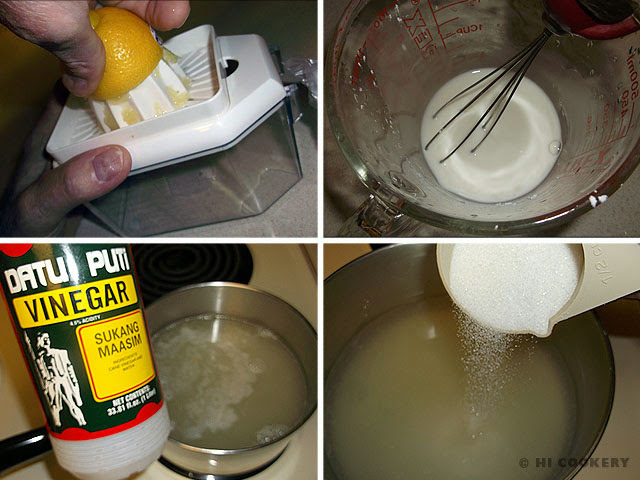 In a measuring cup, make a slurry by dissolving the cornstarch in lemon juice. Set aside. In a saucepan, combine the water, vinegar and sugar. Bring to a boil. 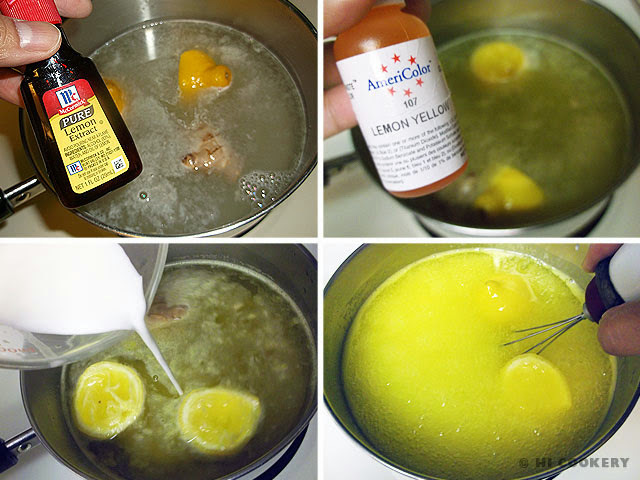 Add the ginger, lemon extract and a few slices of lemon. Tint with yellow food coloring. Slowly stir in the cornstarch-lemon juice mixture until thickened and smooth. Discard the ginger. Serve the sauce on the side with the lemon chicken. The lemon sauce may be made ahead of time and re-heated. Garnish with fresh lemon slices. This lemon chicken is a Chinese-influenced recipe. There are other lemon chicken recipes inspired by international ingredients. Serve L&L Drive-Inn lemon chicken with scoops of rice and macaroni salad. Onolicious! For another fruit-flavored sauce with chicken, try the recipe for honey orange glazed chicken listed in our September archives (National Chicken Month). Love lemons? Search our blog for more lemon recipes.